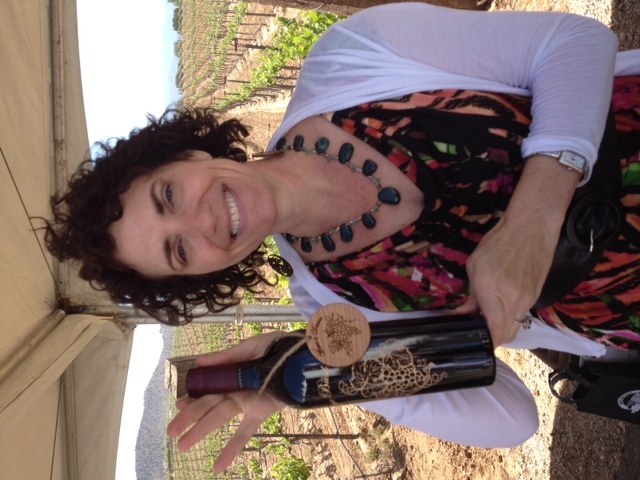 Your little every-ready bunny (not-so-fresh from the tummy flu) did her best to cover the first Sierra Pelona Wine Fest hosted by Reyes Winery last Saturday. 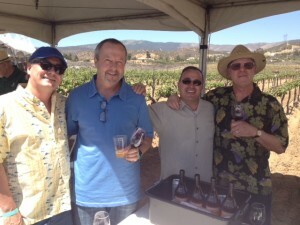 It was an event locals just couldn’t miss – as it seemed that I ran into friends at every tasting table! The weather, albeit a little windy, was picture perfect – lots of people snapped lots of photos – and a beautiful frame was set to check out new wines, foods and lifestyle vendors. Each guest was handed a swag bag with several goodies, including a program (thanks for the shout out to Eve’s Wine 101 Consulting that helped market the event to Santa Clarita folks) and a Save the Date notice for next year’s event: April 26, 2014. A portion of the ticket sales benefited the Henry Mayo Newhall Memorial Foundation. Reyes Winery was fresh from winning three medals – the day before the fest – at the Critics Challenge International Wine Competition! One more reason to give them a taste, eh? 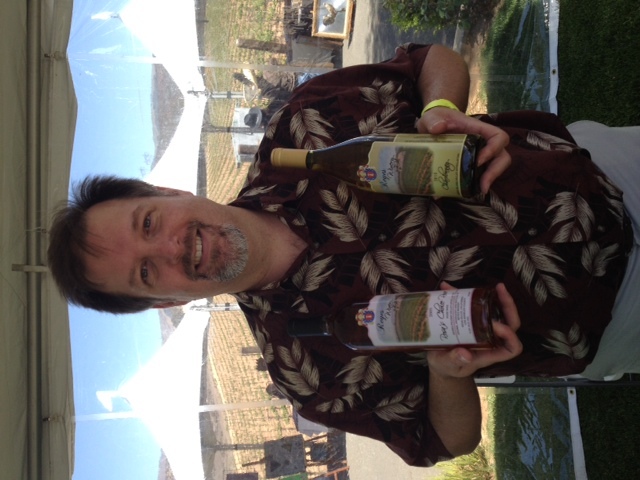 Reyes Winery borders Agua Dulce Winery, and Steve Wizan, the General Manager for Agua Dulce Winery was having fun entertaining tasters and talking about his own winery’s upcoming events. 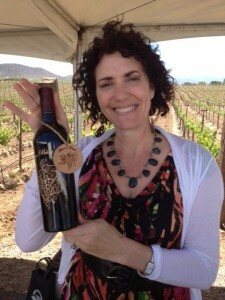 Donna Harris is the winemaker for the Harris Wine Biz. 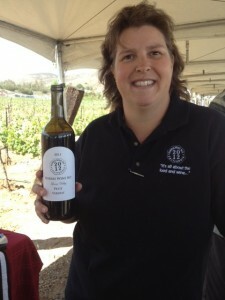 She is making wine from the vineyards formerly owned by Leona Valley. Harris said she obtained the land via a short sale and it was a good purchase. At their booth the wines were paired with several Pampered Chef items. Apparently you can contact them to schedule a wine tasting and Pampered Chef party combined. Donna bottled wines just for us to taste that day, so we had a barrel tasting. 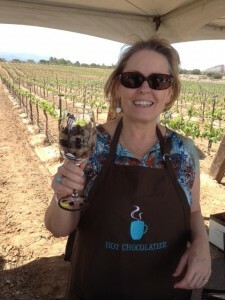 I enjoyed her 2011 Petit Verdot the most. Juan Alonso, chef and owner of Le Chene, served up some cured meats next door to his winemaking partner, Stephen Hemmert. As usual, these two friends pair well together. 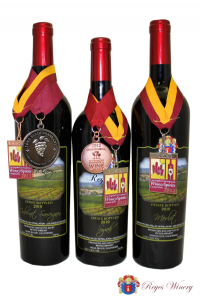 Thomas Lukas was very popular with his non-commercial wines from his “Bobcat Winery.” Thomas makes wines with local grapes, along with some of his local winemaking pals, and it’s always interesting to see what different winemakers will do with the same grapes. 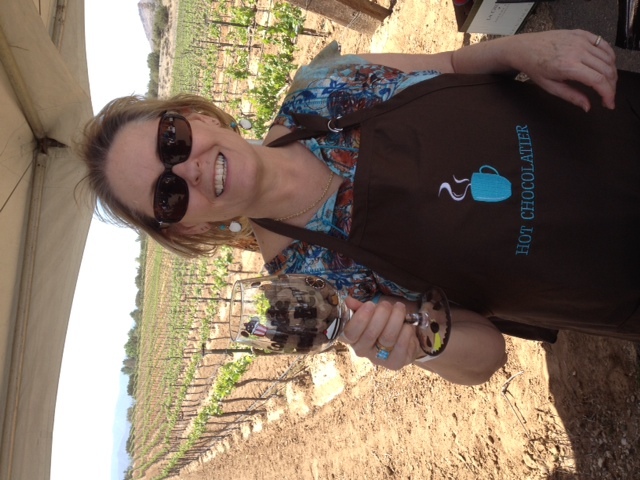 Sharon Lindquist, my wine pal that is also a Dove Chocolatier, had some kind of chocolate and cinnamon coated almonds and a decadent orange truffle. The first made my mouth water for the second. 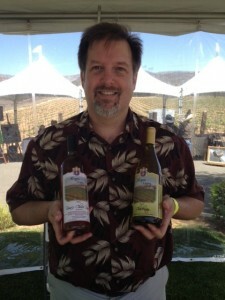 Two Hearts Vineyard, hands-down, was creating a buzz at the fest. 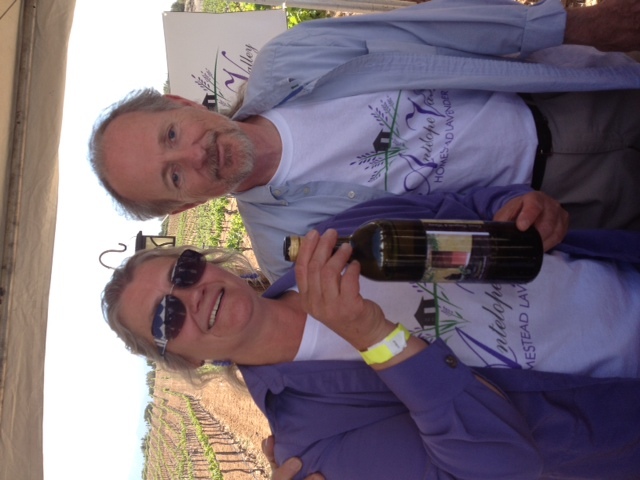 I adore Kerry and Susie Clark, the winemaking couple that buys local grapes and juice from all over the globe to create dozens of varietals. 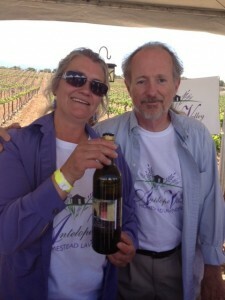 My husband and I have been fans for years (Ed loves the Malbec, Cabernet Sauvignon and I love those and the whites too). 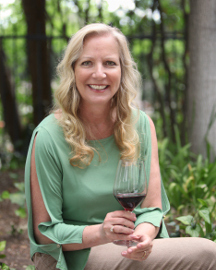 Not going commercial, I’m hoping to convince Susie to create a Facebook page so people can learn where they will be pouring next as they support many wine events. I wish I could have stopped at the Mascari Vineyard table, but it was packed. 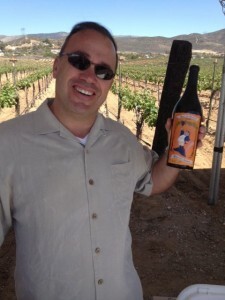 I’ve had Danny Mascari wines every year, so no doubt a new crowd had their turn! Pulchella Winery, another winery that pours at local events but also has a tasting room in downtown Newhall, was also very popular at the fest. 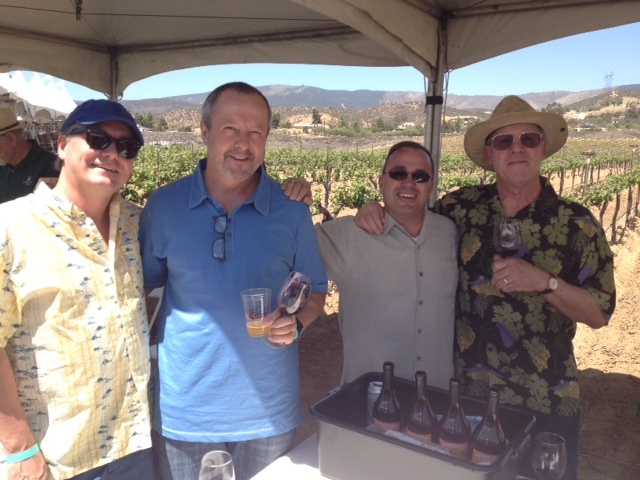 Both owners/winemakers Nate Hasper and Steve Lemley were there. 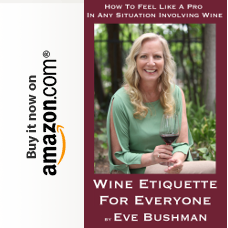 I was happy to see my friend, and fellow wine writer, Denise Lowe setting up some time for a private interview with these two remarkable men. 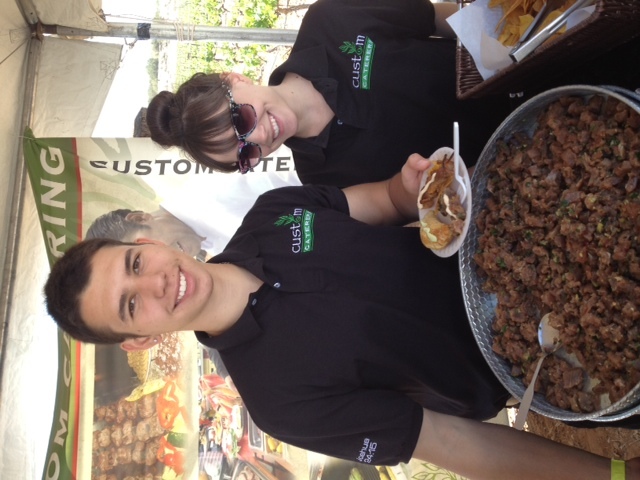 Custom Caterers, located right in Newhall, served up an amazing Ahi Poke and seared Ahi skewers. The owner, Richard Ortiz, used to own La Rumba. I’d like to see them at MORE events. Santa Paula Distributors had several spirits (rum, tequila and vodka) I was itching to try…but my tummy was not up for that. Come to find out that they are right here in Castaic, so I’m hoping for a “make-up” tasting soon. 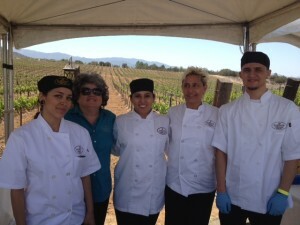 From Cheers@All Corked Up, Ada, owner Al Robles’ sister-in-law, was serving awesome spinach empanadas. 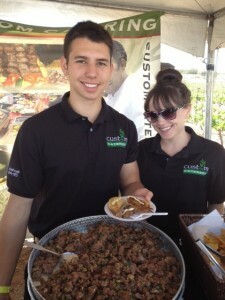 Al, along with co-owner Terri Rivera, are often asked to share their foods at events; and we’re lucky to have them! 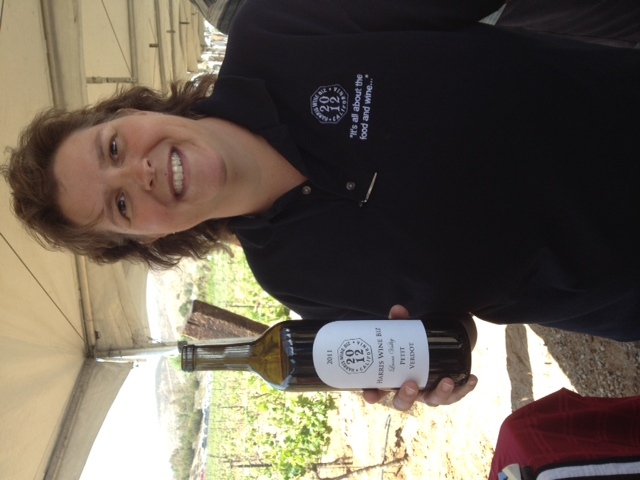 Cyndee Donato, a partner at Antelope Valley Winery, was also doing a swift business of pouring for guests that hadn’t made it out to the AV for their wines. 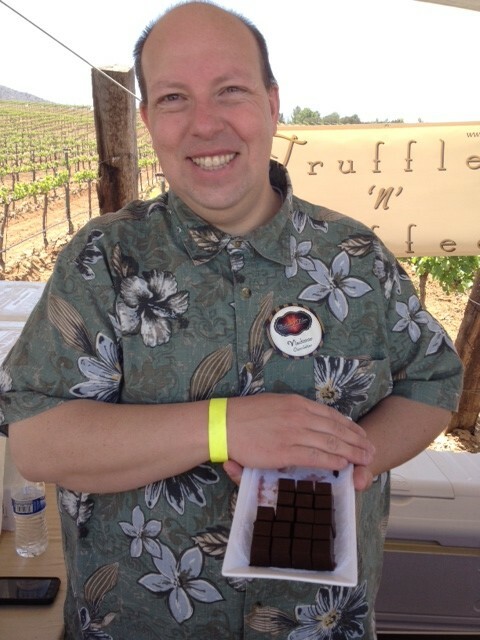 Truffles n’ Toffee, was serving up homemade chocolates that were infused only with Reyes Winery wines. 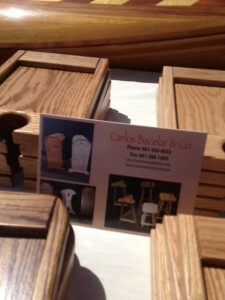 People readily paid $15 for a box of 9 little guys nestled in a box. See their entire line-up of chocolates on their website, my husband loves their toffee. 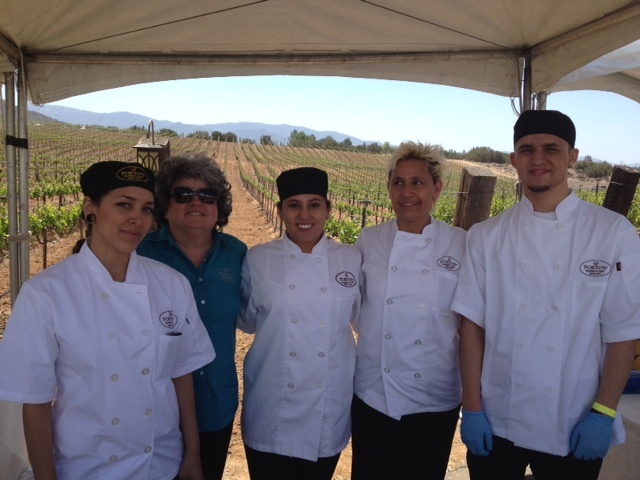 Coruce Vineyards, Chavez Vineyards, Diosa Tequila, Donna Harris Wine Biz, High Desert Cellars, Mike Rinn Wines, Mascari Vineyard in Bouquet Canyon, Montalvo Tequila, Naked Rebel Winery, Oreana Winery, Pulchella Winery, Reyes Winery, Steve Hemmert Vineyards, Two Hearts Vineyards, Winehouse Vineyards, 88 Tequila Co. Anheuser-Busch, Bobcat Winery, Douglas Gould, Golden Star Vineyards, Malagon Winery, Montalvo Tequila, Mi Rancho Tequila, Crillon Importers, San Antonio Winery. 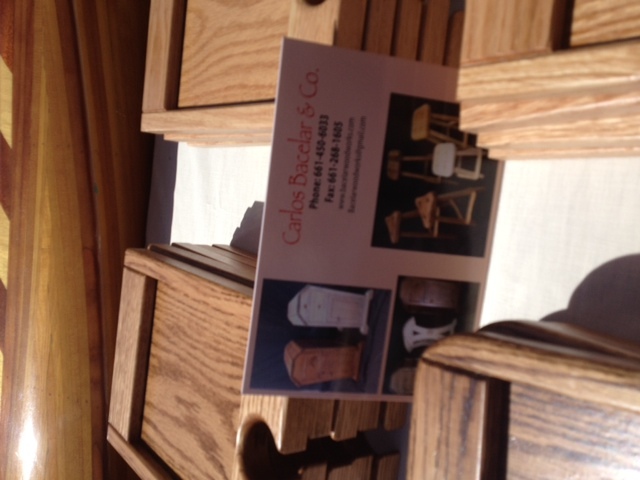 Pour Wine and Bites, Blanca Ortiz Casual Cool Jewelry, Bling Your Glass, Bacelar Wood Works, Twisted Staves, M Cigars, Patina Soul, Yoga Works. California Bakery, Cheers At All Corked Up, Gourmet Blends, Dove Chocolate Discoveries, Gourmet Tamale Factory, Le Chene French Cuisine, Naked Juice, Natcheryl Organic Café, Truffles n Toffee, The Whole Wheatery, Mickey’s Mommas BBQ, Mi Dolce Vita Cupcakery, Pampered Chef, Valley Wing Pit, Thelma’s and Luis Restaurant, Gourmet Blends, Red Haute, Raspado Express, Custom Caterers, Organo Gold Coffee. Featured work by Lalo Garcia, Rosa Alvarez, Luis Villanueva, Ricardo Ortega and a classical art exhibit will featuring the paintings of Virginia Miranda and her art students, and the paintings of Winemaker Robert Reyes. Union Bank, Galpin Motors, Southern California Edison, Golf Cars LA, All American Container, Power Media Group, Adam and Al Gottfried of Tee It Up Radio Network INC, The Whole Wheatery, Country Journal, Andy Gump, Max Mart Drapery, Steve’s Valencia Florist, Robinson Ranch Golf Club, Newhall Ice Co., Antelope Valley Winery, Advanced Smile Dentistry, Buca di Bepo, Trader Joe’s, Outback Restaurant, Wolf Creek Brewery, Reyes Winery and others. 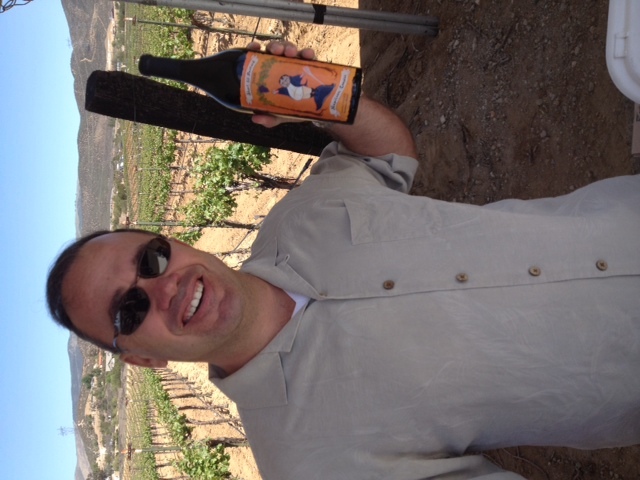 In the Sierra Pelona Mountains of the Southern California just 30 miles north of downtown Los Angeles lies California’s most recently established American Viticultural Area, the Sierra Pelona Valley AVA. The untouched natural beauty provides the perfect environment for burgeoning vineyards, boutique wineries and outdoor enthusiasts. 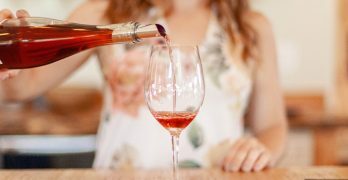 Visitors can enjoy a day of discovery and relaxation exploring the area’s fine wineries and tasting rooms.